I am Honduran or Italian. I am me. A collection of my lived experiences. In New York, I imagine it’s Christmastime. My uncle hunched over the counter making homemade pasta noodles for lasagna, my aunt stealing a few slices of salami of her freshly made antipasto, and the smell of penne alla vodka permeating throughout the air. I was nostalgic for my aunt’s famous rainbow cookies, and not just because they were better than any bakery, but because I had learned how to make them with her, side by side with my little cousin. I am not Italian. But my family is. In Honduras, I wake up slowly to lazy roosters singing their morning anthem. I spend a good part of the day cleaning and then I go across the street to have lunch. Suyapa is in her beachfront restaurant listening to the news on her radio. Her two girls are sharing a hammock. One is reading, the other is vigorously texting. I greet everyone and then I order my usual: pescado frito con tajadas. I sit at my favorite table where the sand meets the sea and wait for my order to be ready. I am Honduran; they are not my family. But they look like they could be. My earliest memory of food is eating oatmeal and drinking agua de sandía (watermelon water). With legs sprawled out on the hotel couch and curious eyes, I anxiously awaited each morning for room service to bring my breakfast. I ate a variation of this meal for the next 40 days. My mom and I were in Tegucigalpa waiting in a hotel across the park from where our lawyer was finalizing the adoption papers. At two and a half years old I didn’t know that my life was about to dramatically change, but I knew that this woman was taking care of me and I felt loved. My second earliest memory of food is hiding it. When I got to my new home in the United States, I still hadn’t kicked the habit I’d picked up in the orphanage of hiding leftovers to make sure I had enough to eat. It didn’t take long to see that this behavior wasn’t necessary. I wasn’t afraid my mom wasn’t going to feed me. As I grew up, my mom made sure I maintained a relationship to the food of my birth country. She learned how to make arroz con pollo, enchiladas, and other different kinds of Latin American food. I didn’t know that she wouldn’t always use the exact ingredients and would improvise. Later, when I traveled in Honduras, I could taste the difference from my mom’s arroz con pollo. But at the time, I didn’t remember what food from my country tasted like. I grew up with homemade meals, meticulously customized birthday cakes (as per my request), and I learned how to cook early. I felt at home in the kitchen. Each recipe either came from the Joy of Cooking or my mom’s treasured wooden box of family recipes. Each night I would roll up my sleeves and stand side by side with my mom, making lasagna, stuffed mushrooms, and minestrone soup and meatballs (my mom put raisins in hers and marked them with X’s with a knife so I didn’t accidentally eat any. Raisins weren’t my favorite.) This was my food. It wasn’t until I was told I was different from classmates (in less than nice words) that I felt different. How could I tell my mom that kids at school told me that she wasn’t my real mom and my family wasn’t my real family and my real family didn’t want me? Instead, I spent the majority of my childhood feeling bad and embarrassed for being adopted. Each time I looked at a family picture, I could see I looked different than everyone else. I hid them all. I even shoved the screen printed pillow cover of my three cousins and I in the back of my closet. I loved that pillowcase; I loved my cousins; we had gotten it done when we went to Storyland one summer. I only kept my yearbook photos and one of me and my mom hung up on the wall above my piano. At least when I was in a picture with just my mom, I could have a reason as to why I looked different. It would be a lot easier than explaining why all of my family members were white and I wasn’t. Our family tradition was to go to New York for Christmas. I was always so excited to go to New York because I grew up in Maine and never had experienced seeing so many people of color. In grocery stores, I’d trail behind Spanish speaking families and wish they knew me somehow. I’d peer into their carts, searching for Latin American food, in hopes that would give me a clue as to who I was and where I came from. In high school I asked my mom if we could eat food from Central America. I wasn’t expecting to find Honduran food where I grew up, but to our amazement we found an authentic El Salvadorian restaurant in downtown Portland, Maine. They welcomed me with warm eyes, but when they caught a glimpse of my mom trailing behind me they treated me less warmly and didn’t give my mom the time of day. I didn’t ask to go again. Finally, I graduated high school early and left to study abroad. Despite my mom’s attempt to cook Latin American foods, and my attempts to find Latin American culture in my hometown, I had lost my birth culture’s identity. I wanted to reclaim it. I did not travel to Honduras at first. I wasn’t ready. I spent time in Costa Rica through an exchange program but I wanted to experience more. My mom’s best friend hosted a Peruvian woman and asked if I could stay with her family once she returned to Peru. I didn’t end up staying with that host family, but instead found a girl in my class whose family hosted students regularly. They had two daughters around my age and a son who was a few years younger. Our connection was instantaneous. We enjoyed the same music, laughed at the same things and found joy in each other’s company. I grew up as an only child and I found something I had always wanted: Siblings and a family that looked like me. Well, kinda. And food that I would have eaten if I grew up in my own country. Well, kinda. I learned how to cook la comida de la selva side by side with my Mamita, a woman I met through a girl I went to school with, whose family would become my family. 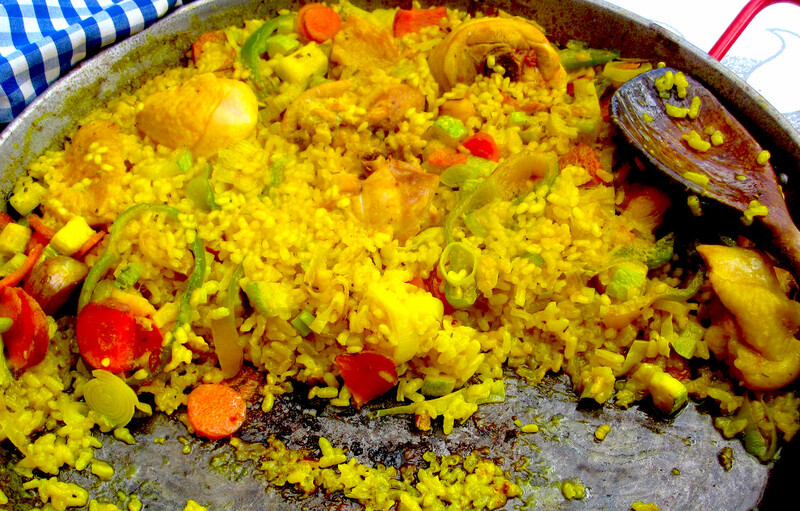 I remember one morning waking up to the smell of juane de arroz. The kitchen was joyfully flooded with rows and rows of hojas de bijao (banana leaves), waiting to be filled with rice and tied with string. I tied for hours with my brothers and sisters. I had never been so happy to do such a monotonous task. I am not Peruvian. But they are more than my host family. They are my family. After graduating from college I traveled to Asia. I learned how to order food in each country I lived in. I devoured the sizzling street food of Bangkok. I eagerly awaited to have Pad Thai in On Nut Market and finished my meal with mango sticky rice. In Seoul, I shared Korean BBQ with coworkers and filled up on pork buns at least three times a week. On visa runs I would go to Vietnam and eat fresh Bánh mì in a trance and have the same expression on my face when I had my daily serving of Bai Sach Chrouk in Cambodia. I didn’t grow up with any of these foods. I am not Thai. I am not Korean. I am not Vietnamese or Cambodian, but I saw how food brought people together. I felt how I was welcomed into their culture, and into their homes. I was gracefully cocooned within a culture of food and with people who shared the love of food and people. Eventually I made it back to Honduras. I wanted to remember the food of my motherland. I wanted to smell baleadas from blocks away and instinctively know that that was the food of my homeland; that it was mine. That I belonged to Honduras and Honduras belonged to me. I had seen first hand how food seamlessly brought a culture together—I wanted to be woven back into my own culture. But unfortunately, I didn’t have a magical moment. I didn’t taste something that flooded my brain with memories of my birth family and culture. My taste buds didn’t invite me to dance or throw a homecoming party for me. I didn’t even like baleadas. That was until I saw on the menu that they served agua de sandia and arroz con pollo. In that moment I was not Honduran or Italian. In that moment I was me. 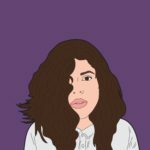 A collection of my lived experiences. My feeling of home comes from the people I surround myself with and the food that unites us. Home is not a place on a map, where I grew up, or even where I was born. Home is a feeling. And food, was another language of love.